Mass Rapid Transit (MRT) contractor is asked to improve its security. It is related to vandalism against MRT train car which is parked at Lebak Bulus MRT Depot, South Jakarta.
" I encourage all residents to report any vandalism act"
According to Anies, this train is still under contractor's responsibility. "But we will ask contractor to improve its security," he affirmed in Depok, Saturday (9/22). 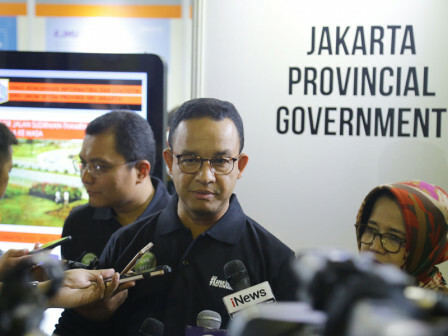 He also expects all residents to see MRT, LRT, and Transjakarta as their own property. "I encourage all residents to report any vand alism act," he mentioned.